Crate email lists from virtually any source. 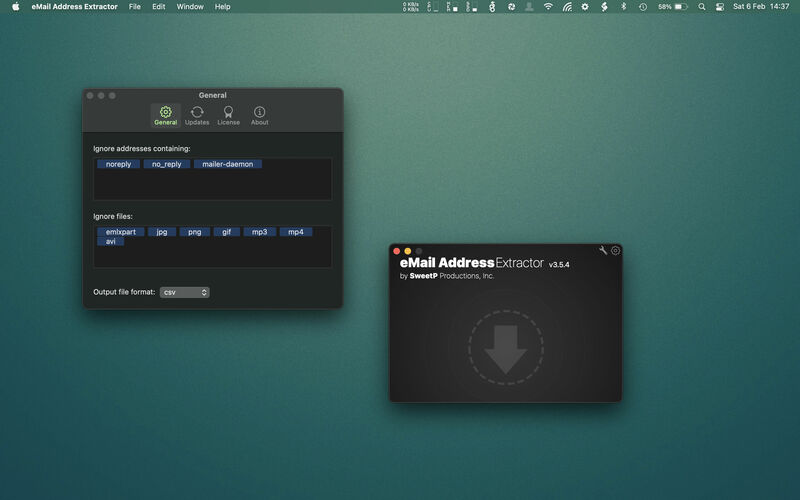 eMail Address Extractor can scan many common files types. Pages, Keynote, Numbers, Microsoft Office, PDF, emlx, SQL databases - virtually any file which contains plain acsii text can be scanned. Zip archives can be processed directly - there's no need to expand before scanning. 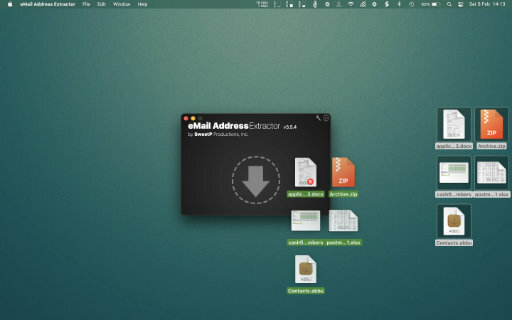 Mail.app email accounts are also easily scanned from the handy tool panel. Choose between .csv or .txt file output for your mailing lists. Save time by creating filters to ignore certain file types or email addresses while scanning. Quickly scan the headers in Mail.app accounts. Or run a deep scan to also include the content. Process files through the menus or via drag and drop - choose whatever suits your workflow best. An intelligent url scraper is included on the tool panel to quickly scan web pages, or entire domains. There's no need to manually look through websites for contact details. Feed the url to eMail Address Extractor choose to scan the page or the entire domain and set it to work. All the discovered emails will be neatly packaged up into your selected format. Drag files to the drop zone to create mailing lists. Extract the addresses you want, ignore those you don't. Scan single urls or entire domains for email addresses. 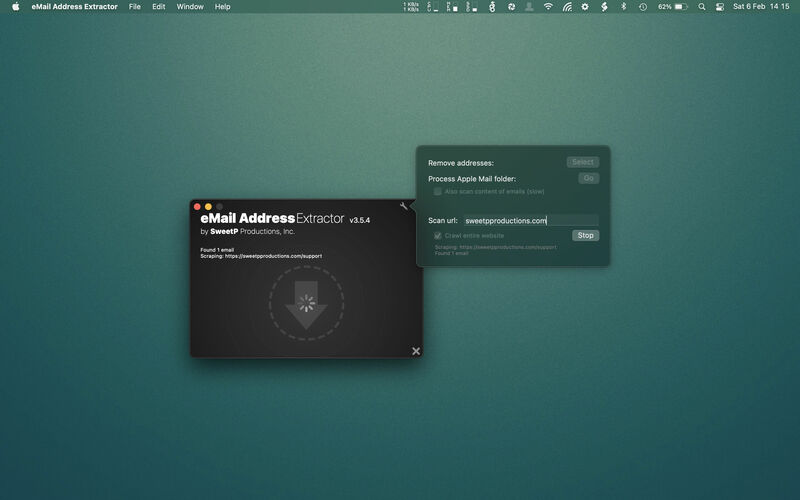 What does eMail Address Extractor support? Look like something you want? Great, Buy it for only $49.99 using the buttons below. Alternatively take eMail Address Extractor for a free 2 week test drive and see if it fits your needs. Just click the Try it button below. Head on over to our main site and check out some of our other great Apps, or for eMail Address Extractor support.